Later this month, we will be attending the IX (Immersion Experience) Symposium at the Montreal Société Des Arts Technologiques. We were asked to run a web-enabled AR or VR workshop along the theme of ‘The Year of the Body’, so we decided to run a ‘DIY AR Avatar’ workshop! We were excited to try a workshop exercise that involved your body and bodily movements as part of the output, and making personalized AR avatars seemed fitting. Also, web-enabled AR opens up possibilities for people who want to learn about AR with easily accessible devices that they may already have, like laptops and non-iOS smartphones. If you’d like to try a version of our workshop for yourself, follow along with the instructions below. Please feel free to share any feedback with us about how the workshop works (or doesn’t work!) for you. Happy AvatAR-ing! Augmented Reality (AR) is a view of a physical space with overlayed computer imagery. The overlayed imagery can be generated based on physical image-markers (or fiducials) which tell the camera where to place the overlayed imagery, or it can be generated based on computer vision that detects certain elements in the physical scene, like a specific face. To make AR apps, you just specify which computer imagery to place when a certain marker or target is detected. In this workshop, we will be making marker-based AR apps using A-Frame, an HTML-based markup language. We will also be using AR.js by Jerome Etienne, an easy-to-use library that lets you specify which A-Frame objects appear when a certain marker is detected. A disclaimer: A-Frame and AR.js are both available at the links in the code will be using, but may update or change in the future. We already know HTML! Click Go to the dashboard >>. Now that you are set up with your own blank webpage, you are ready to make your first AR app! Lines 9-16, define your graphic scene. Line 11 specifies that we are looking for the HIRO marker. Line 12 draws the box. On line 12, try changing the position, scale or color of the box. For color, you can use Hexidecimal color values too. Let’s try some other shapes! *Notice here that the position attribute has new values to place the shapes relative to other. …or if you’d like to try other shapes or attributes for them, check out the A-Frame primitive shapes documentation page. 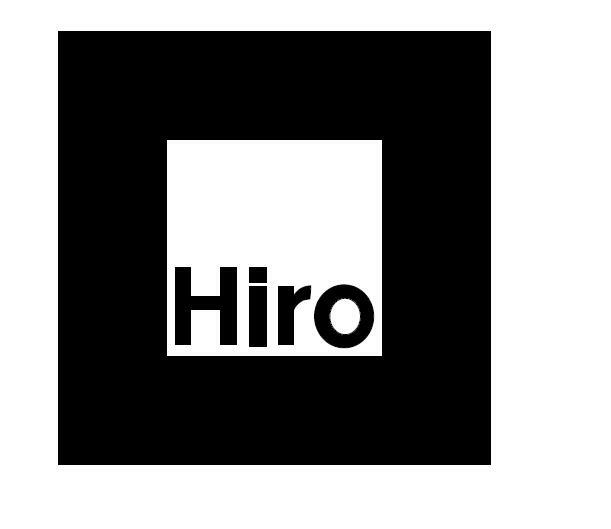 Try taping the HIRO marker to your forehead! Now that you have some basic AR shapes as an avatar face, let’s try some 3D models on for size! Notice lines 10-13 and lines 16-17 are different this time. They load .obj and .mtl assets, and then there is a new A-Frame type, an a-obj-model that applies the .obj and .mtl assets to a 3D model. 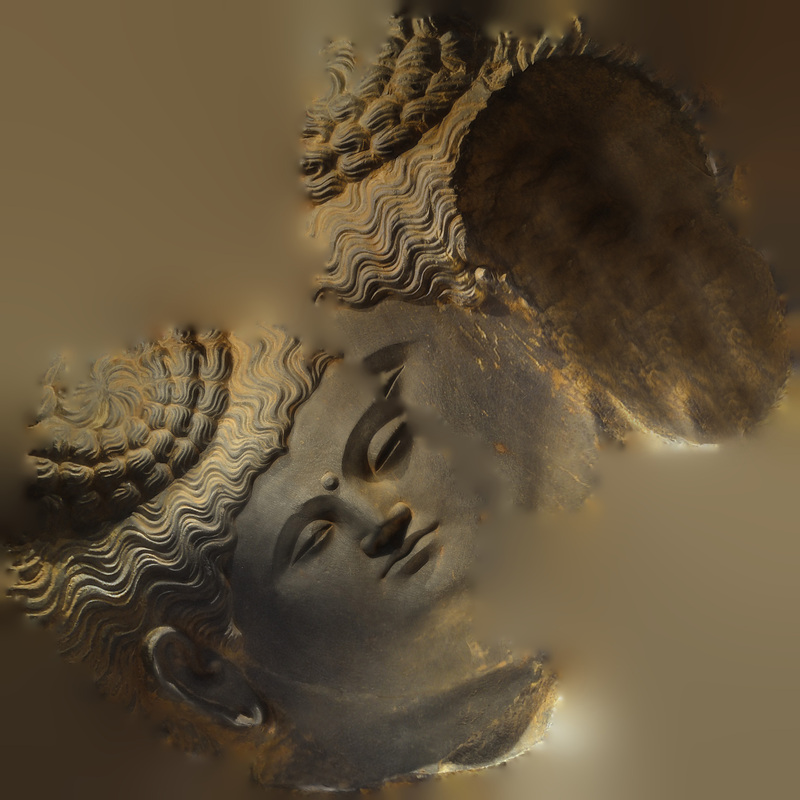 You should now see a 3D model Buddha head! If you’d like to use your own 3D model, upload your own .obj and .mtl and corresponding texture files, and edit the filenames on line 11 and line 12. … or any 3D modeling method you choose! If you’d like to have more than one AR object, you just need to use more markers like the HIRO marker, taped to different parts of your body. If you print the HIRO, Kanji and A markers, tape them to your palms, and then click View, you should now have AvatAR hands! If you’d like to animate your objects or models, it only takes one extra line of code. Line 2 shows the animation code. If you’d like to learn more about the a-animation attributes, check out the A-Frame animations documentation page. Try different, larger scales, maybe it the original is very small? Hope you enjoyed the tutorial, please share with us any AvatARs you make!